Gabriella has us write war poetry on Dversepoets, poetics. Join us to read some wonderful poetry across the globe. Doors open 3 PM EST, this Tuesday. 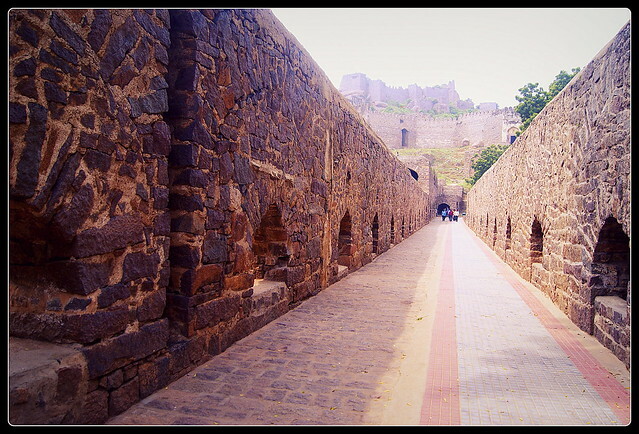 Photo: Army barrack, Golkunda fort, Hyderabad that survived a history of nearly thousand years and still going strong. Posted in Social. Tagged History, warpoetry. Modern poets love a lot of mystery. Would they accept it without arguments? Posted in Poetry. Tagged History. I’ve always felt that I’m indebted to my birth place, Shyamnagar, a small township in the suburbs of Kolkata, where I grew up past my adolescence and always wanted to do some remarkable in my own ways to pay homage. Though I was struggling for ideas for a long time, now, largely inspired by the views of my uncle, I’ve decided to put up a new website with the information about the place – predominantly its history and people, the legendary personalities whose presence glorified the name of this town. At the advent of technology, we are doing very little to use the tools to preserve what we can before we lost it for ever. My first step towards fulfilling this objective was to get some photographs and news from personal albums of the family of Ashoklal Banerjee, popularly known as Tineda, about whom we could not find a single image online. He was a part of the golden era of Bengal’s football in 70s, played throughout for East Bengal and was recently awarded East Bengal Ratna award, for being part of the legacy that this club won the league for 6 years in a row (1971-1976). People who knew him said that even after a full match, he never perspired. Fan attributed the name ‘Headmaster’, for his never missing head shots. He is not among us today, but we remember him fondly. The dogmas of the quiet past may be inadequate to the stormy present and though this place may be insignificantly small in the geographic as well as the economic map of West Bengal, but still in time to come, new generations need to know the history and be inspired from. Posted in Information, Social. Tagged History.